In my patent analysis work, I am sometimes asked to review patent documents from jurisdictions other than the US, such as from Europe (EP) and the United Kingdom (GB). A common error I have encountered when analysts in the US look at patent documents from other jurisdictions is that they review the wrong version of a patent document, thereby wasting their own and their client’s time. 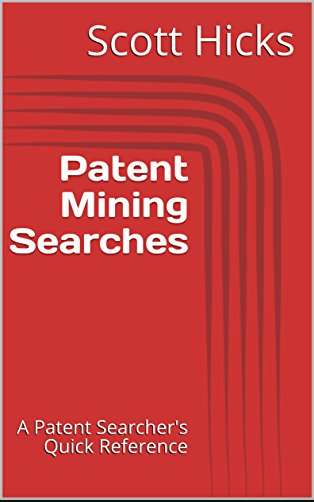 Counter to the USPTO’s practice of separate pre-grant patent application publication and granted patent numbering schemes (11-digit and 7-digit, respectively), many other jurisdictions use the same number for both published patent applications and granted patents. 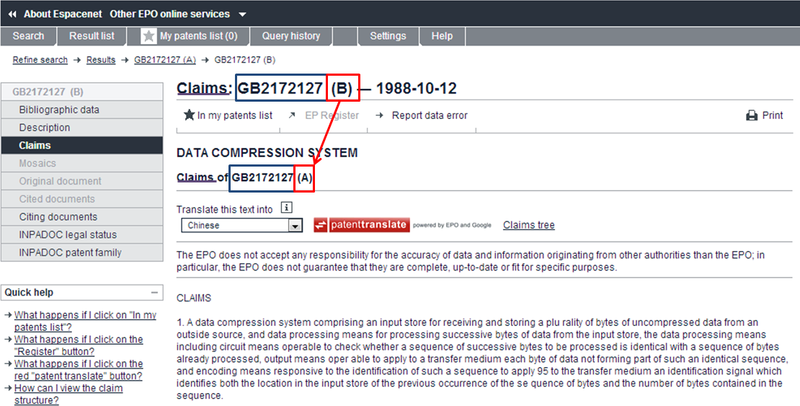 The way that these other jurisdictions’ patent offices (such as the EPO and UK IPO) represent the difference in the patent document identifier is through the use of a “kind-of-document code”, which is a one- or two-character suffix that follows the patent document number — e.g., GB2172127A vs GB2172127B. For another example, EP patent applications are represented with a trailing “A” kind code, while granted EP patents are represented with a trailing “B” kind code. For EP patent documents, an “A1” indicates a European patent application published with a European search report, and a “B1” indicates a “European patent specification (granted patent)”. There are several other kind codes for each of the “A” and “B” kind code sets — for more details, see the EPO’s kind code help page. The USPTO has its own comparable US kind code list, and the World Intellectual Property Organization (WIPO) additionally has a comprehensive guide to patent kind codes. The specific error that I have witnessed from a few other patent analysts is that they spend time reviewing the claim set of a published EP or GB patent application (i.e., kind code “A”) instead of reviewing the claim set of the associated granted EP or GB patent (i.e., kind code “B”). Obviously analysis on an originally-filed or still-pending set of claims is likely to not be helpful for a client because the client wants to know how relevant the issued claims are, and the issued claims are very likely to represent some, if not many, modifications from the original claim set. The claims normally differ between these two, potentially substantially, so when analysts map or otherwise analyze “A” claims the work is probably incomplete and/or inaccurate. Part of the problem is that search tools such as Espacenet default to showing the “A” claims, even when the “B” version has been selected. To get to the “B” version of the claims, one must explicitly select such. The kind code B claims are only available in a PDF image at Espacenet and the UK IPO. UPDATE: However, thanks to Google, this doesn’t mean that I have to OCR them and/or type them in when filling out reviews. Google Patents has support for EP and WO patent documents, including the claims. Google Patents provides kind code B claims in a textual format for simple copy-and-paste, and the Patent Claims Tree tool for the Chrome browser will parse these textual claims and provide a claims tree. Therefore, when performing patent analysis on non-US patents, it’s best to understand and leverage the kind code to ensure that you are reviewing the appropriate set of claims.